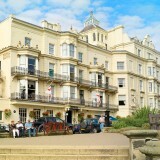 Located in the town centre and built in 1863, the Grand Hotel Scarborough takes pride of place overlooking the town's picturesque harbour and South Bay. 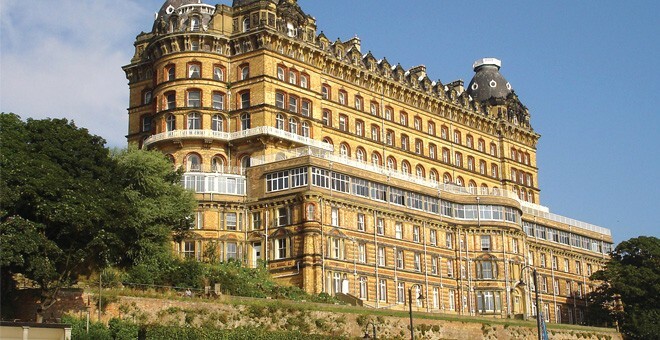 This stunning Victorian building is an instantly recognisable landmark, and stands out amongst other hotels in Scarborough. 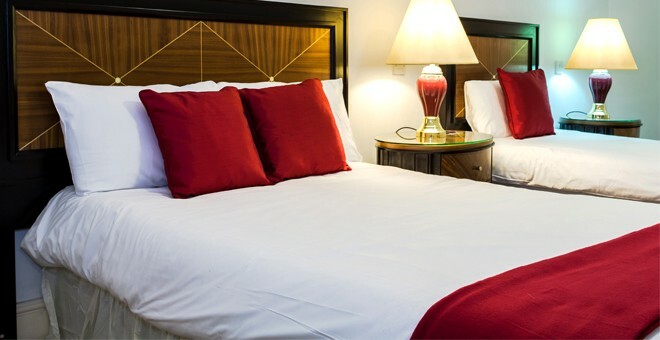 It is the ideal hotel to enjoy the beautiful sandy beaches, promenade walks and attractions that Scarborough has to offer. Scarborough is one of the most popular seaside resorts in England, and has many attractions to suit the whole family. Visitors can go to the historic Scarborough Castle, enjoy clean and safe beaches, or walk along the promenade, with its typical seaside amusements and attractions. 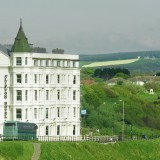 Children will love the Miniature Railway and the Sea Life Centre, located on the North Bay, while the famous Scarborough Spa and gardens provide a relaxing haven for all. 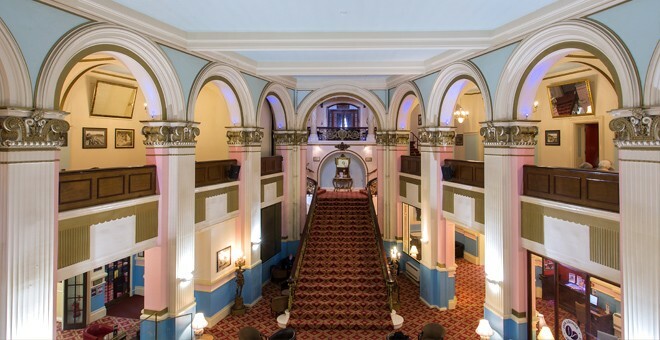 The Harbour Lights Restaurant, which is the Grand Hotel’s main restaurant, provides stunning views of the harbour, and offers a breakfast buffet as well as traditional and continental evening meals. The Premier restaurant, on the other hand, has a more intimate atmosphere and offers a premium menu. Our Java Coffee Shop serves light lunches and afternoon tea, whilst the hotel's two bars offer a relaxed and chilled atmosphere. 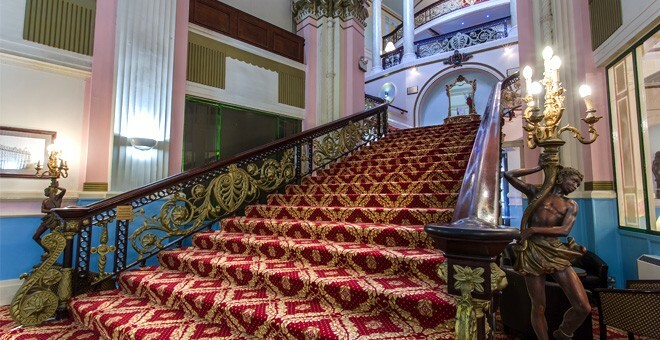 When all of this is taken into consideration, it is not hard to ascertain that guests looking for accommodation in Scarborough will no doubt find the Grand Hotel offers everything they might be looking for. 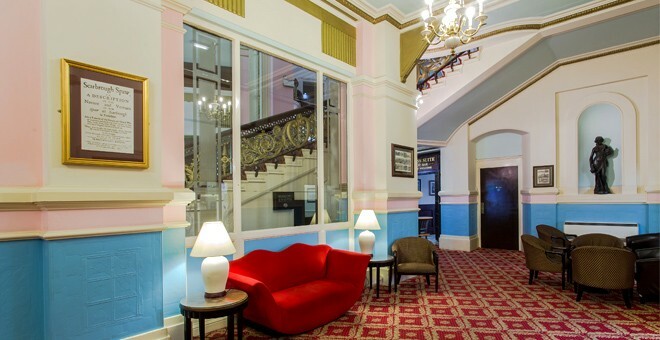 At the Grand Scarborough we have 97 internal rooms, labelled as ‘City’ rooms. These rooms do not have windows, but are well ventilated. Please be aware of this when booking with us.